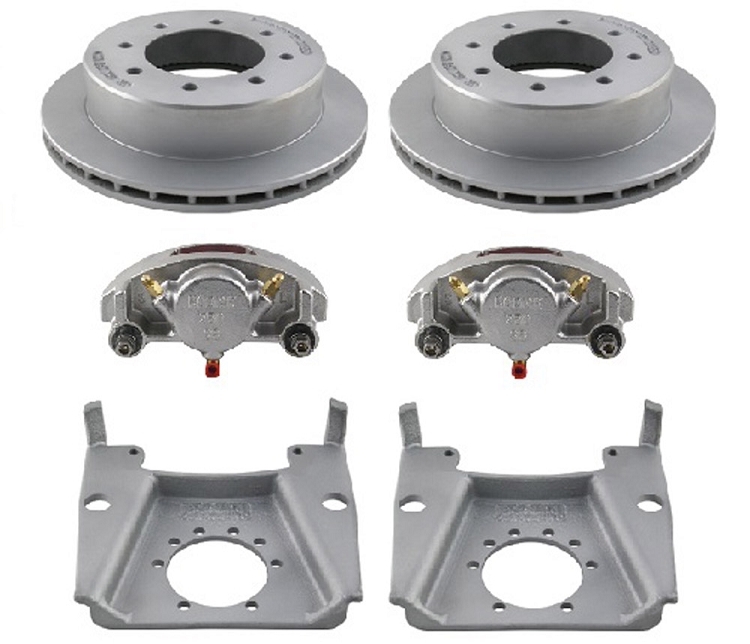 This Kodiak Trailer disc brake kit includes 2 wheel assemblies with silver-cadmium-plated (DAC) rotors, and stainless steel calipers. Mounting brackets are also included. Disc Brake Assemblies will fit 7,000 lb axles and 16 in and larger wheels. 13 in Rotor features 8 on 6.50 bolt pattern.